I finally got my sample. Thank you! I got my sample. The coupon that came with it expired last June. I think this contain silicones. Warning popped up on my computer that site is unsafe. I got a free sample of this from another site and I did not like it. It left my hair frizzy so I'll stick to my regular brand. Hmm, I'm ineligible also. 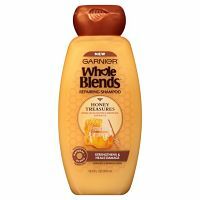 I tried to get a sample of the oatmeal shampoo, but I never received that either. said, I didn't qualify? what kind of hair are they looking for! Wow!lots of people commented they were told they were ineligible. Need complete date of birth and email to get. PASS-miss the old days when all you needed was an address to get a sample and it usually came! Not sure why but said I was not eliable for the sample. I got the not eligible too, wonder what the magic criteria is? I do like this shampoo but have already received a sample. Thanks! Not eligible, either. I wonder if it's because I got the previous sample that was the oatmeal shampoo? how can I be not eligible for a free sample??? I got this message " Sorry.. you are ineligible for this sample." I wonder why? apparently not eligible. Why Not???? ineligible // wasted my time, WHO is eligible??? Go through all of the form filling and then get told I’m not eligible. Thanks for nothing. Received a sample of this before and like it. Wonder it they will send me another sample? I am using this right now and I love it - thanks for the sample! !